The last rites of senior Kannada weekly tabloid editor and social activist Gauri Lankesh, who was shot dead the night before, will be conducted on Wednesday in Bengaluru, her family said. “Gauri’s last rites will be held at Chamrajpet Cemetery in the city,” her brother Indrajit Lankesh told reporters here on Wednesday at the Victoria Hospital, where her post-mortem was being conducted. “Her mortal remains will be kept at Samsa Bayalu Rangamandira (an open air theatre) for public viewing,” Lankesh said. “Gauri’s eyes were donated as per her wish,” he said. He also expressed confidence in the probe: “Investigations have been going on since last night. I’m very confident that the killers would be caught soon,” Lankesh said. “CCTV footage has been taken by the police and I’m sure the killers will be identified soon,” he said. Lankesh, 55, was shot dead by three unidentified men who had fired seven bullets towards her when she returned home from her office in the city. Four had missed the target and hit the wall of the house, while three bullets had hit her — two in her chest area and one in the forehead, Bengaluru Police Commissioner T. Suneel Kumar had told reporters on Tuesday. 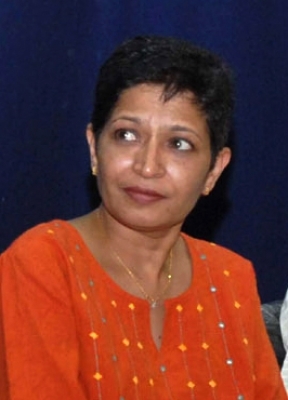 Lankesh was an editor of popular Kannada tabloid “Lankesh Patrike”. In November 2016, she was sentenced to six months in jail after a defamation case was filed against her for a report against Bharatiya Janata Party leaders.